Probably the best tyre lever ever made! Simple, strong and effective (Highly recommended by SJSC). Tyre makers have been making beads tighter and tighter over the years to increase performance. This has made it tougher to remove tires and more levers are breaking. 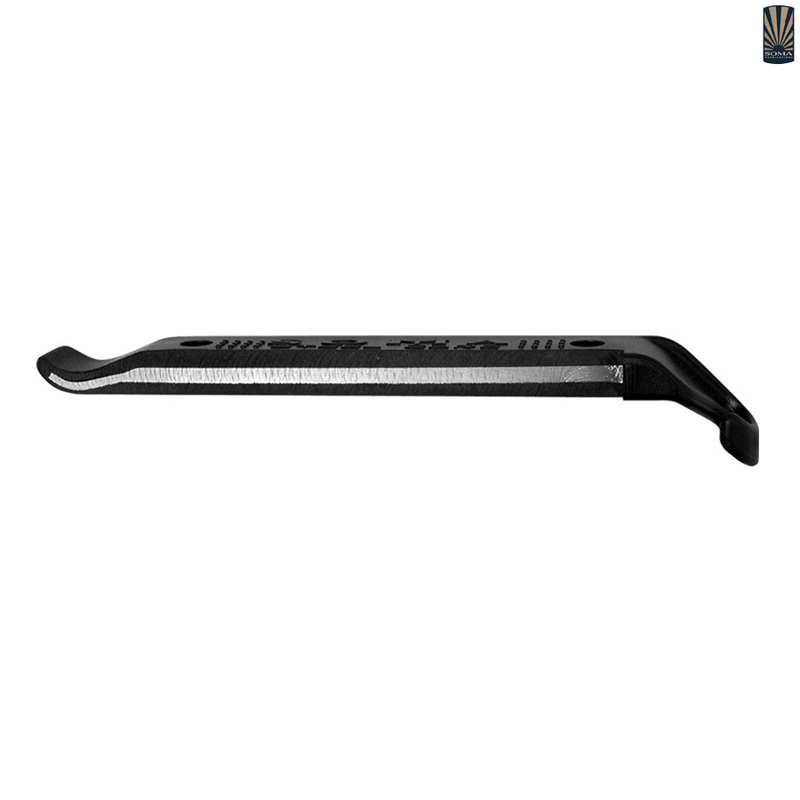 Get the tire lever that What Mountain Bike UK suggested that every rider should own a pair. - Originated in 2004. Re-engineered it to be even stronger in 2013. The updated model is well up to the job of removing tight tyres. Not up to the job where deep side walls and panaracer tour guard tyres concerned. Plastic tip broke off after a few uses leaving sharp edge of metal core exposed and lever useless. Possibley OK for less resiliant tyres. Used once to replace a Schwalbe Marathon Plus Tyre. Was not up to the job. The steel core is too short as it does not go right to the tip. It is also too soft. On first use the plastic sheath split and the tip bent. Went back to using the plastic levers I had previously which worked without fault. Rubbish product! Very stiff and strong, but they dont damage your tyres like the old metal ones. Fantastic for tight tyres!